It’s weird to think that Lydia Night is still in her mid-teens, and yet Los Angeles-based the Regrettes is already her second band and her second stab at big-league success. When she was 12, Night was playing in a two-piece called Pretty Little Demons with nine-year-old drummer Marlhy Murphy. That band performed at South by Southwest, and even caught the attention of actor Ryan Gosling, leading to Night joining Gosling in his Dead Man’s Bones indie rock band for a short while. Fast-forward to December 2015, and Night had formed a new band for longtime school friends Genessa Gariano, Sage Chavis and Maxx Morando. Like Pretty Little Demons, the focus in this band, the Regrettes, is on sweet melodies and caustic musicianship, leading to a poppy punk (though not necessarily pop-punk in genre terms) sound. 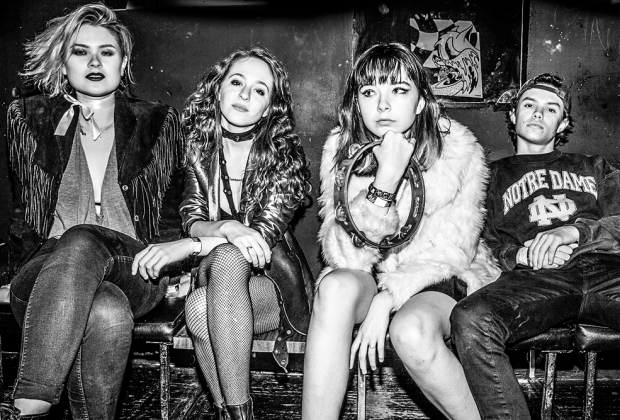 In January of 2016, just a month after the band formed, Night took a meeting with Warner A&R man Mike Elizondo, a friend of the Regrettes’ manager. Two days later, the band was offered a record deal with the major label, which was eventually signed in March. It’s early, but Night says that the band’s experiences with Warner have so far been pleasant and easy, with a team of people that wants to make all of their ideas come to fruition. With aforementioned A&R man Elizondo, also the band’s producer, there was no need for a back-and-forth with the label during the recording process. “They didn’t really have any involvement in the recording,” Night says. “Mike could approve everything for us. We did have to send the final copy for approval, but nothing really during the process. I’m super-excited. The Regrettes’ debut album Feel Your Feelings, Fool! drops on Jan. 13. For more of Music Connection's Signing Stories, click HERE! Q&A with Gary Clark, Jr.